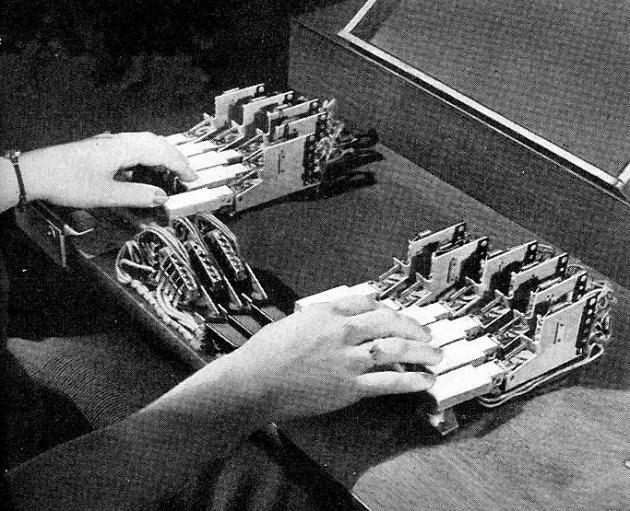 “The Bell Telephone Laboratory’s Voder* was the first attempt to synthesise human speech by breaking it down into its component sounds and then reproducing the sound patterns electronically to create speech. That sounds simple in theory and, in fact it was. 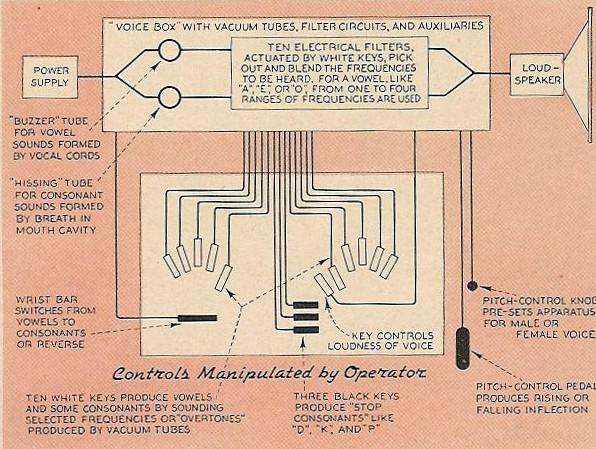 The Voder actually produced only two basic sounds: a tone generated by a radio valve to produce the vocal sounds and a hissing noise produced by a gas discharge tube to create the sibilants. These basic sounds were passed through a set of filters and an amplifier that mixed and modulated them until what came out of the loudspeaker sounded something like this.